The iSaddle System is Duplo’s heavy-duty, high volume collator and saddle stitcher and the first in its class to deliver the increasingly popular, letter landscape booklet. 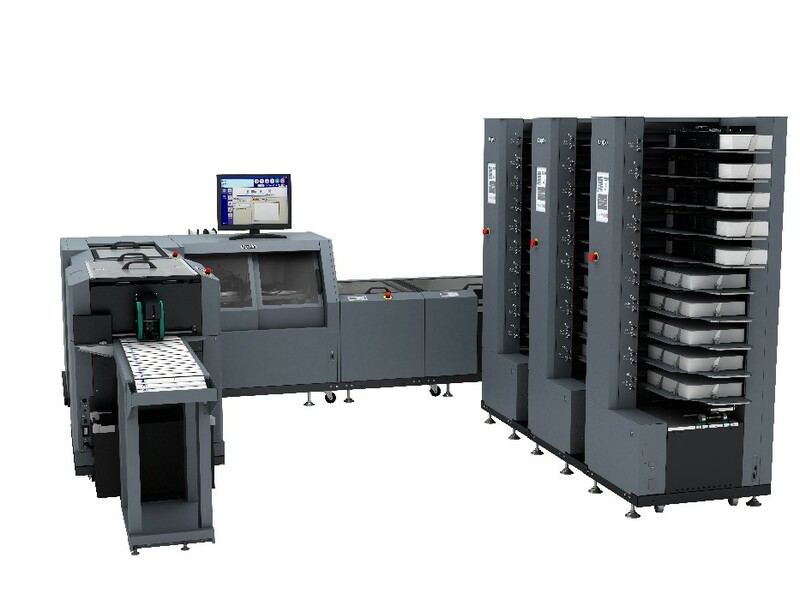 Designed to handle both traditional offset work as well as shorter-run digital jobs with equal ease and efficiency, the fully automated iSaddle combines PC-based programming and intelligent feeding with scoring and folding technology of the highest quality to produce thicker, flatter booklets up to 4,500 booklets an hour. What’s more, its modular design enables users to add three-knife trimming capabilities with the optional DKT-200 Two-Knife Trimmer and gutter cutter, which can also process 2-up applications, boosting its production up to 9,000 booklets an hour! Whatever your book production requirements are, the iSaddle System delivers the automation and precision needed, on demand.